I am currently planning and trying to get organized for our next vacation, and realized this blog is a year old and I have done nothing yet. So, before I plan more it is to reflect and look back at the beginning. 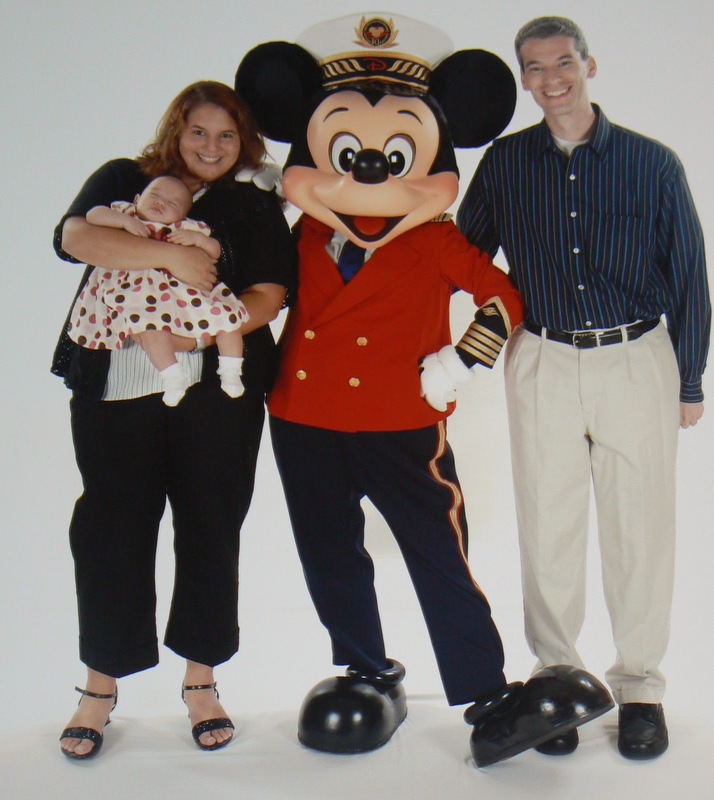 When Princess was 5 months old my hubby and I got a chance to go on the Disney Magic for a 7 night cruise during Halloween of 2008. We figured it sounded like fun and decided to go. We had never cruised during Halloween. We had never cruised with another couple. We had never cruised with an infant. How hard could any of those things be? We were both very familiar with the Disney Magic. In fact we had just cruised on her in January for our babymoon. So, we got Princess a passport and I started trying to figure out what I would need to pack. A costume of course! Clothes for every day. Dresses for dinner every night! Just the thought of how much fun I would have dressing her for the cruise got me excited. 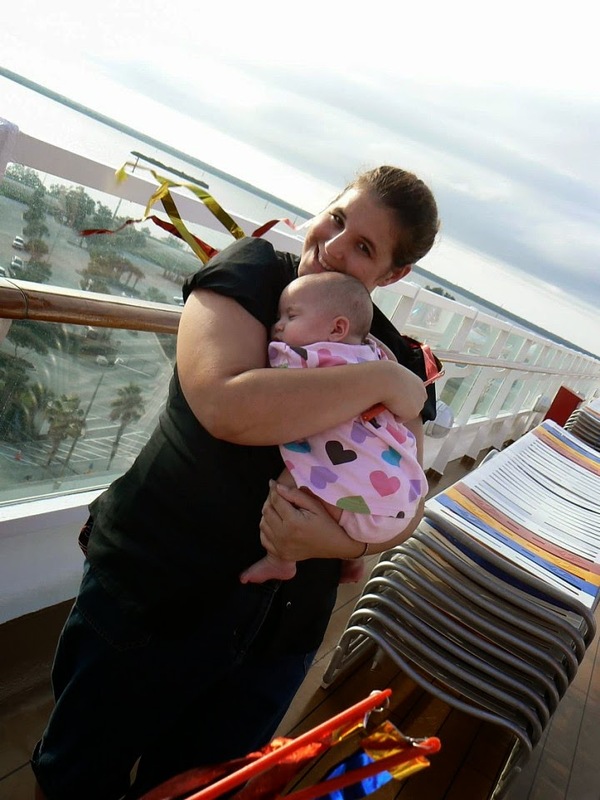 I partnered with her pediatrician to make sure we would be okay taking her on the cruise, and she saw nothing wrong with it. Whew. She was to young for sunscreen according to all the sunscreen rules and information I had, which said 6 months and older. I didn't plan on having her in the sun, but I wanted to make sure we were ok. The doctor said I could use is sparingly if I felt it was needed. 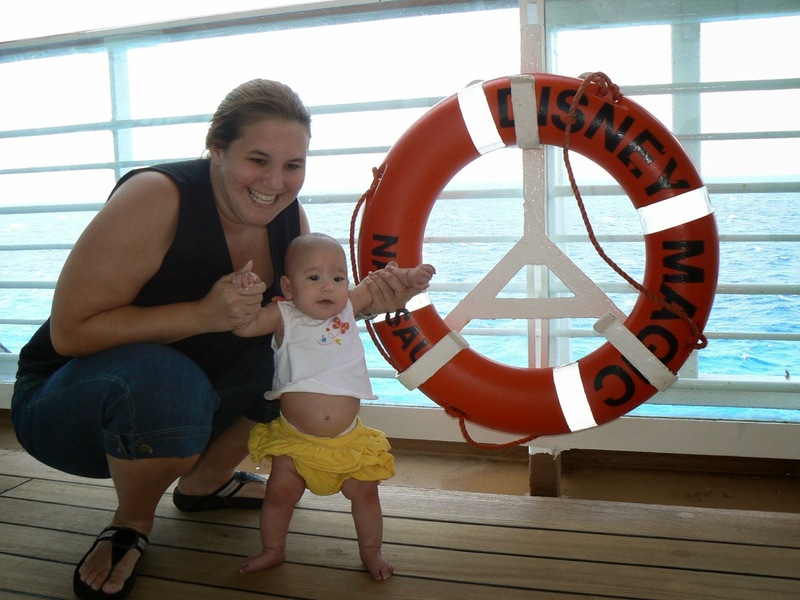 So, at 5 months old, we boarded the ship and Princess took her 1st cruise. She slept thru sail away. I know many comment on how she won't ever remember the cruise and why bother taking her. For me, it was simple. It wasn't about what she would remember. It was about what I would remember. She may not remember her first few years, I know I don't remember mine, but I love the stories my parents tell me and I hope she will love looking thru pictures and enjoy the stories we share. There are going to be so many firsts in her life, and if we can capture them and enjoy them and celebrate them as a family, isn't that what it is all about. She may not remember meeting characters, but I will remember. 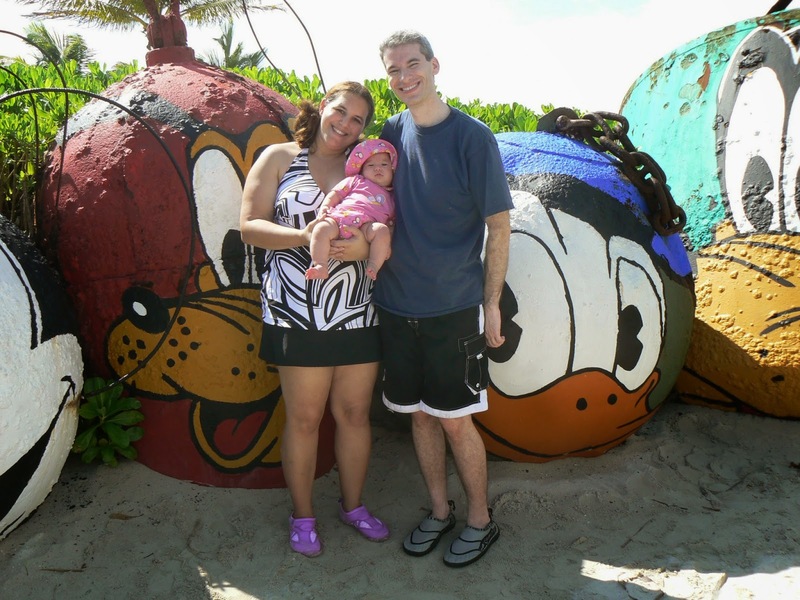 She may not remember her first visit to Castaway Cay, but that will always hold a special place in my heart. Princess was a difficult sleeper and I wasn't sure she would sleep in the pack n play so I brought a portable bed hoping that would work. It didn't and she slept with us. Learned for future cruises not to bother with a portable bed. I was concerned about sun and sand and what to do with her on the beach, so I bought and brought a sun cabana. No regrets on that purchase. Worked great for what we needed. I booked her for a few hours in the nursery so we could do a Palo brunch. I was so nervous the whole time, but she was fine and she napped!! She napped so well that when we went to pick her up they didn't want to disturb her in the crib and told us to leave her. The 2 hours turned into 5. She sleeps well on a rocking ship! She had just started eating "baby food" and the servers on the ship were great. Did we want applesauce? Blended anything? The chef would make it. I overpacked in diapers, but no regrets there. I know they now have companies for ordering a lot of that and having it in your cabin when you arrive, but I don't like the charge. It took up a lot of room getting on the ship, but that meant lots of room for extra souvenirs getting of the ship. The stateroom attendant was magical. Really! He was always there to open the door when I had her in my arms or when I was pushing the stroller. I rarely had to get my key. I felt bad that in return he constantly had to collect dirty diapers. The servers in the dining room were always trying to make sure they had something she could eat and if she was in my lap, our server never thought twice about cutting up my meat so I could eat one handed. Would I do it again in? Absolutely and I would recommend the experience to others. However, now the age is at least 6 months.